Millennials and professionals are bringing new energy to the movement, especially in New England, where more than half of union members are doctors, lawyers, teachers, architects, and other white-collar employees. Last year, a third of the 262,000 new union members nationwide were in professional or technical occupations, mostly in the public sector. And more than three-quarters of new members were under age 35, part of a five-year trend of growth among younger workers, according to the Center for Economic and Policy Research. Workers across many industries are increasingly banding together and standing up against management as part-time and contract work grows, automation amps up, and wages barely budge, labor observers say. Silicon Valley tech workers have started a coalition to unite. Journalists from the HuffPost to the Los Angeles Times have organized for the first time. And campaign workers are bargaining collectively with several congressional campaigns in what may be a first for national politics. In Boston, graduate students at Harvard and Northeastern are seeking to unionize — following recent success at other schools — as are teachers at two Roxbury charter schools. Language teachers at EF Education First in Boston just approved the firm’s first US contract, staffers at Emerson College are working out details of their inaugural agreement, and public defenders are holding rallies to demand collective bargaining rights. Lawyers and financial investigators at the Massachusetts Board of Bar Overseers, which investigates complaints about lawyers, are expecting their first contract to be ratified this week. The workers were driven to act after their vacation days and retirement fund payments were reduced and health care contributions went up, said Al Nolan, a longtime financial investigator at the organization. But it turned out the type of work they do — analyzing data and drawing up contracts — is suited to negotiating a union agreement. And as the economy shifts, it’s people like Nolan who are increasingly driving union membership, and changing the nature of unions to fit the jobs in today’s economy. Organized labor may never have the power it did in the 1950s, when more than a third of workers in the country were unionized, compared with 10.7 percent today. And if the Supreme Court rules it’s unconstitutional for public-sector unions to charge nonmembers to cover collective bargaining costs, it would cut into unions’ revenues, leaving them with fewer benefits to offer workers. But this infusion of young professionals is helping to stanch the bleeding. In 2003, 34 percent of union members nationwide were in professional and technical occupations; by last year, it was 42 percent, according to the Department for Professional Employees at the AFL-CIO. In New England, such professionals now make up 51 percent of union members. The Stage Directors and Choreographers Society, which just signed an agreement with a 14-theater collective in the Boston area, including New Repertory Theatre and the SpeakEasy Stage Company, has had an influx of youth in recent years, said Laura Penn, executive director of the national union. And it makes sense. 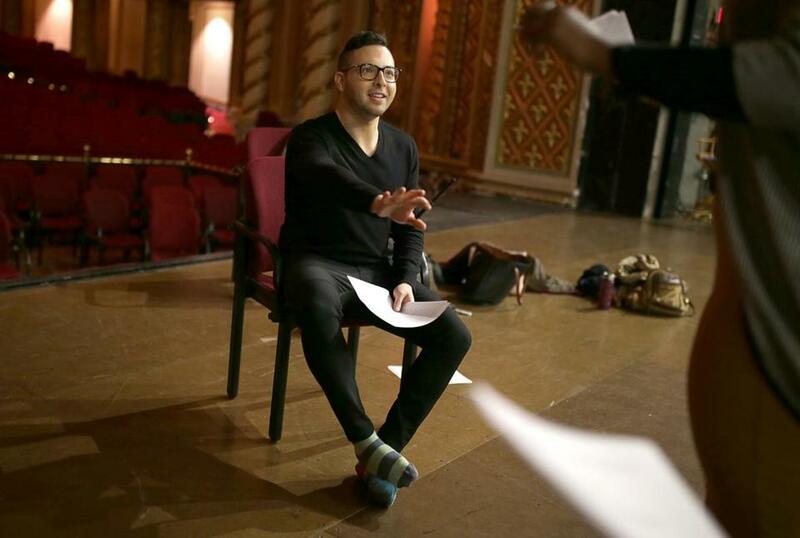 Joey Frangieh, 27, who last year directed “Finish Line: A Documentary Play About the 2013 Boston Marathon,“ at the Shubert Theatre, is among the new young members in Penn’s union. “Having this union, and this backing, is something that allows us to be more free,” Frangieh said. Unions’ commitment to social justice also attracts young people, said Jessica Tang, the 36-year-old president of the Boston Teachers Union, which is helping organize the staff at two independently operated charter schools in Roxbury, where many teachers are in their 20s. Millennials tend to be open to joining the labor movement, Tang said, in part because they haven’t “bought into the [negative] stereotypes that right-wing and anti-labor groups have tried to hammer home for so long,” she said. Like some of the initially skeptical employees at the Board of Bar Overseers, Illona Yukhayev, a 32-year-old instructional technologist at Emerson College, didn’t know if she was “union material.” She has a master’s degree and a job she loves, helping college faculty with their technology needs. But then she got a peek behind the curtain at negotiating meetings, including the fact that the man who had her job before her made $10,000 more a year than she did, even though they had similar backgrounds and he didn’t have an advanced degree.